…nowhere. At least nowhere officially. 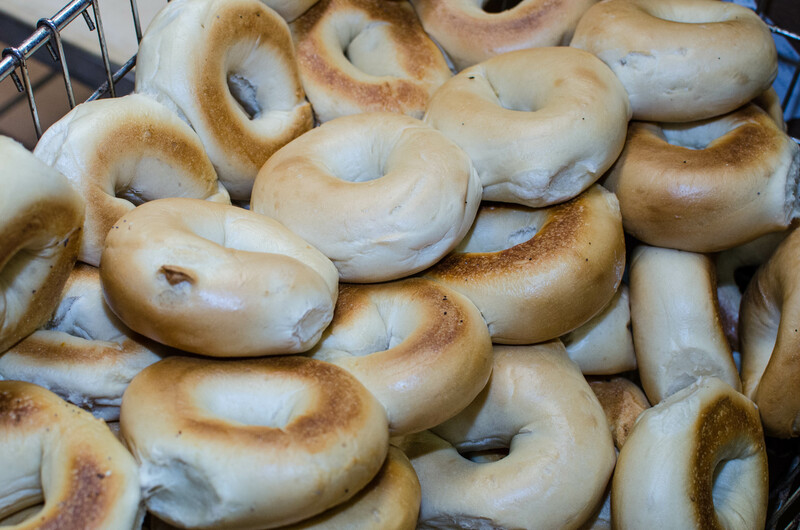 The origin of the bagel is actually unknown, but the most common theory says that they come from Vienna, Austria. In 1683 during the Battle of Vienna, Polish King Jan Sobieski prevented the Turks from invading Austria. As a gesture of thanks, a Viennese baker baked King Sobieski bread to celebrate the victory. Poland was known as the breadbasket of Europe at this time, so the gift seemed fitting. liberated Austrians held on to the king’s stirrups as he rode by them. The Austrian word for stirrup is beugel. This theory is the one that is most agreed upon among historians.